What is the current status of the relations between Turkey and Israel? Relations between Turkey and Israel are de facto frozen: Ankara has long taken a very critical stance on Israel, namely on the Palestinian issue. Compared to the '90s, the golden period of Turkish-Israeli relations, ties between the two Countries are now at an all-time low. Various incidents have pushed Ankara and Tel Aviv further away in the past few years. First and foremost the harsh attack made by the Turkish Prime Minister Recep Tayyp Erdoğan on Shimon Peres, during the Davos meeting in January 2009 (following the previous year's attack against Gaza) and then, naturally, the Mavi Marmara incident in the spring of the following year. On the attack on the vessel to Gaza, the Turkish and the Israeli versions are deeply divergent. According to the Turks, on board the vessel there were pacifists wanting to distribute humanitarian aids in Gaza. Tel Aviv, according to whom Gaza's naval blockade is vital to keeping Hamas from arming itself, states that the Turkish activists started the incidents. Now, two and a half years after the freezing of diplomatic relations, an agreement between Turkey and Israel seems to be within reach. What is your opinion? Negotiations between Turks and Israelis have never stopped. The parties have almost come to an agreement. Israel is willing to pay a compensation to the victims' families, and to make its apologies to Turkey. However, the most controversial issue remains the third condition set by Ankara: the end of the Gaza blockade. Israel perceives this request as proof that Turkey does not truly want to reach an agreement. This because Erdoğan prefers, for now, to enjoy the advantages deriving from his strong anti-Israeli policy for which he is considered almost a hero by the Palestinians and the Arab world. Ankara's approach is always very emotional, as shown by the aggressive rhetoric adopted by the representatives of the Turkish government when they speak of Tel Aviv's foreign policy. Israel, instead, needs signals to confirm that Turkey truly wants the normalization of diplomatic relations. The framework is made even more complex by the Cyprus issue. Tel Aviv is collaborating with the Greek-Cypriot authorities engaged in searching for gas fields in the Mediterranean, an initiative that Ankara considers illegitimate, at least until the island remains split. As far as public opinion goes, what is the perception in Israel on Erdoğan's government and Turkey as a whole? I think Erdoğan is detested in Israel, especially for his frequent attacks on Tel Aviv. Since 2010, Israeli citizens have been afraid of going to Turkey; they do not feel safe, despite there being no actual threat. Israelis, though, are a pragmatic people and, since they already have many enemies in the region, they understand that reaching a compromise with Turkey is important to guarantee greater safety to the Country. What importance does Turkey hold for Israel? Turkey is very important for Israel. It is probably much more important than Israel for Turkey, and this might be the main reason why an agreement has not been reached yet. Though, if we observe the situation in the region, Ankara and Tel Aviv have common objectives. They both want Iran to put a halt to its nuclear program; at the same time, the war in Syria worries both Turkey and Israel; finally, the resumption of the peace process in the Middle-East is extremely important. In this sense, I think in the future Turkey might play a crucial role in the dialogue with the Palestinians. What do you think developments on the short-term are going to be? Is an agreement between Israel and Turkey close? Diplomatic relations between Turkey and Israel are strictly connected to the Israeli-Palestinian conflict. It is widely known that Ankara and Tel Aviv have different approaches on this issue: for Israel, Hamas is a terrorist organization that is to be marginalized; for the Turkish government, instead, it is a legitimate player with whom it is possible to establish a dialogue. Indeed, Khaled Mashal, leader of the Islamic movement, has gone to Ankara many times and has been received by Erdoğan, with honors worthy of a head of state. Despite this, I remain optimistic, since an agreement in principle has been reached on two out of the three conditions set by Ankara to normalize diplomatic relations, those concerning the apology and compensations to the families of the Mavi Marmara victims. The decisive issue remains the Turkish request to end the Gaza blockade; it is unlikely that Tel Aviv will decide to immediately put an end to the embargo, but on this issue as well, solutions for compromise can be found, such as Turkish humanitarian aids going by land. Benjamin Netanyahu's Likud won the elections, last January 22nd, but did not obtain the majority of votes. 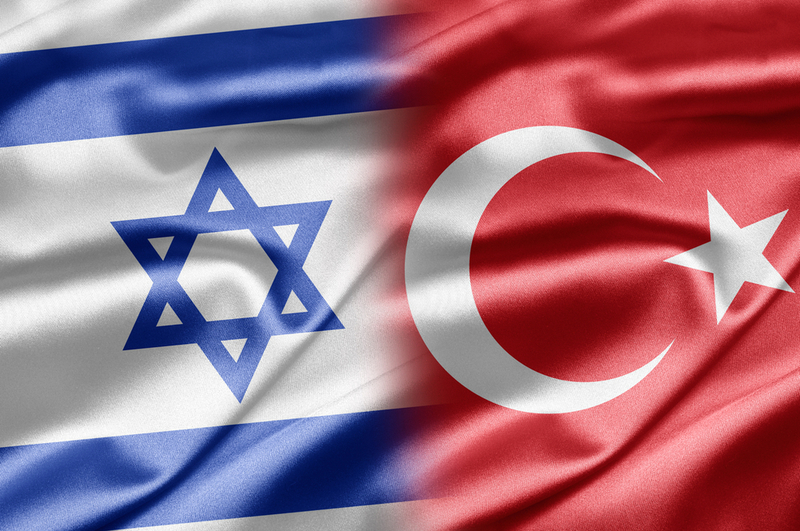 Do you foresee an acceleration in the dialogue between Israel and Turkey, in the aftermath of the elections? There will certainly be a new attempt at reaching an agreement. As Prime Minister, Benjamin Netanyahu has manifested his openness to dialog, but negotiations have not been successful. As for the future, a lot depends on which Parties will support the new government. It is likely that Yesh Atid [a center-secular movement led by Yair Lapid and the party second to Netanyahu's Likud, writer's note] will be part of the coalition and this is certainly positive. But, to have the majority of seats, the support of another party is needed. If Naftali Bennet's extreme right is the third party in the government, Netanyahu will have to deal mainly with the economy and domestic problems; if, however, the coalition will enjoy the support of the Orthodox Jewish parties, the peace process with the Palestinians could start again and, consequently, reaching an agreement with Turkey could become easier.